JOHOR BARU: Badly-damaged internal organs as well as a parasite have been found in the carcass of a whale that was found along Sungai Sarang Buaya near Batu Pahat. Johor Fisheries Department director Munir Mohd Nawi said an initial post mortem discovered small pieces of plastic garbage that had already decayed. “We also found a large quantity of mud in its breathing organs,” he said, adding that this had caused breathing difficulties for the whale. “There is also a high number of orange-coloured nematode parasite within its intestines. “During the post mortem, we also found its internal organs to be badly damaged,” he said when contacted. Last Monday, the 12m-long male Sei Whale weighing 15 tonnes was seen at Pantai Rambah in Pontian where it had beached itself. A group of people managed to pull it into deeper waters. However, the carcass of the whale was found 90 nautical miles at the river mouth of Sungai Sarang Buaya the next day. Munir said the department would be conducting a histopathalogy (microscopic tissue examination) on the whale’s tissue to find out further details about its death. Tissue samples would be taken to a laboratory, and the results were expected within the next two or three weeks. “We want to know its exact cause of death as the Sei Whale is an endangered species under the International Union for Conservation of Nature,” he said. The bones of the mammal would be placed at the department’s temporary gallery as part of its educational programme for the public. #9 – packing a punch, oh oops, lunch. packing a lunch! Question: How do I go plastic-free with a kids lunchbox? As more information becomes public on the damages that plastics can cause, I find that I am becoming more discerning on reusing some types of plastics. David Suzuki Foundation has published a fact sheet informing us on which plastics are more suitable for reuse under the plastic by numbers table. Numbers 1, 3, 6 & 7 should not be reused and therefore if we can, avoid at the point of sale. Hopefully what we have already in the home (including those plastic containers that grow legs and separate – magically – from their lids that not even a cooee will help…) fit within the reusable plastic numbers (2, 4 & 5). Even when we can’t find them when required. Plastic #2 is typically opaque and picked up by most curbside recycling programs. This plastic is one of the 3 plastics considered to be safe, and has a lower risk of leaching. It’s found mostly in milk jugs, household cleaner containers, juice bottles, shampoo bottles, cereal box liners, detergent bottles, motor oil bottles, yogurt tubs, and butter tubs.ilk jugs, detergent bottles, juice bottles, butter tubs, and toiletries bottles are made of this. It is usually opaque. This plastic is considered safe and has low risk of leaching. Plastic #2 is recycled into pens, recycling containers, picnic tables, lumber, benches, fencing, and detergent bottles, to name a few. Low density polyethylene is most found in squeezable bottles, shopping bags, clothing, carpet, frozen food, bread bags, and some food wraps. Curbside recycling programs haven’t been known to pick up this plastic, but more are starting to accept it. Plastic #4 rests among the recycling symbols considered to be safe. This plastic is recycled into compost bins, paneling, trash can liners and cans, floor tiles, and shipping envelopes. Increasingly becoming accepted by curbside recycle programs, plastic #5 is also one of the safer plastics to look for. It is typically found in yogurt containers, ketchup bottles, syrup bottles, and medicine bottles. Polypropylene is recycled into brooms, auto battery cases, bins, pallets, signal lights, ice scrapers, and bycycle racks. 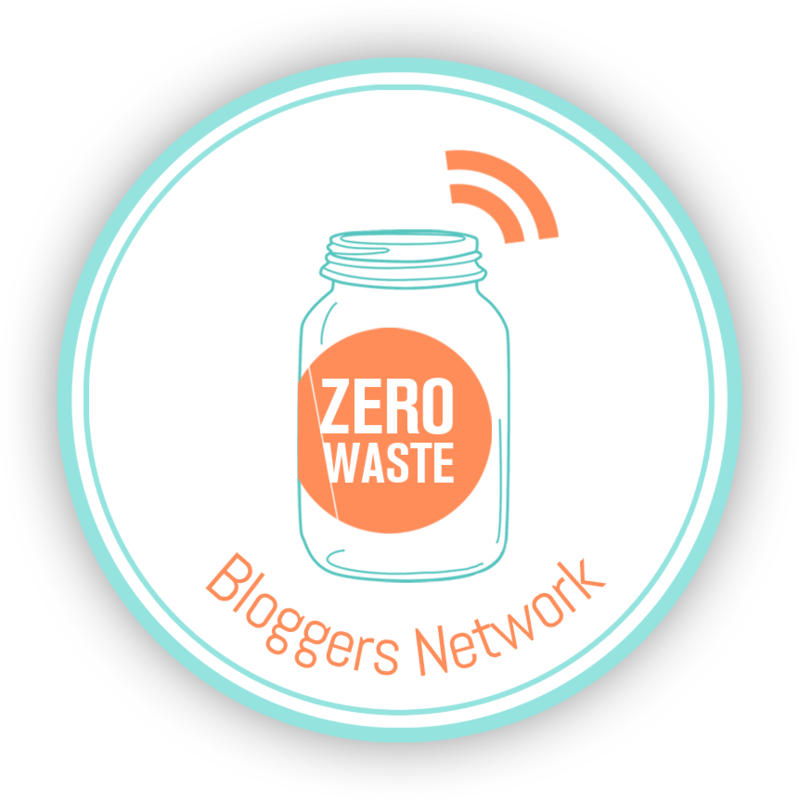 So what to do now with any non reusable items – from the leading picture – that have been acquired unknowingly; and, how should we repurpose or dispose of these ‘single use’ avoidable types? e.g. I could keep sewing items in one; soap flakes for the shower in another; bottles of condiments etc in the larder; reuse the ziplock bag; compost the raisin package. As for the water bottle, it would sit at the back of the cupboard for the time being, especially not knowing if it contains BPA and I haven’t thought of a suitable reuse just yet. Which leads us to replacing plastics, and what to replace with. Recently I had a brief discussion about silicone and the point made to me was – in todays age, is it realistic to avoid all plastics and is silicone an acceptable alternative? I don’t think so, but I can be very choosy as to what plastics, that sit outside of my control that are allowed into the house. For example; medicines, sterilised products. The following URL outlines some cons with silicone outlining why we should begin to be cautious about silicone. Without turning this blog entry into a science review, I am keen on trialling the below food container products. Currently I reuse yoghurt containers for my cold lunches as they do seal quite well for liquids; stainless steel drink bottle with bamboo lid; ceramic and glass containers, bees wax wrap, and paper wrap. In closing, I am just that bit more resolved to remove as much synthetic product as possible from from my day to day life. During my (continuing) journey to reducing plastics and waste, I find that I am ever-increasingly overwhelmed with the variety of alternate products. It is truly wonderful. For example; the pictured soap is not bad. It washes the clothes reasonably well, although I haven’t tried heavily soiled items. But moreso, the soap is a surprisingly fabulous organic shampoo. As I am learning and my behaviour changes, I am naturally tending to question more when looking to purchase any product, like; its packaging, and if the item is really needed, and, at what quantity. Take the the soaps’ packaging for instance; it is waxy, and I do not know if the waxy paper is made from soybean wax or paraffin; and, is the paraffin derived from vegetable oil or petroleum? Either way, I am not sure the worms will care for it, and not that I am any expect on worm gastronomy, except to categorically state that they [worms] are not very favourable to onions! Then, there is the dilemma of staples and the sticky tape that was used to seal the soap and to adhere the label respectively. The staple – being the natural enemy to the photocopier – recently became mine on the recycle front. How many staples to you need to make staple recycling viable. Because such a dilemma required my immediate attention I found the stapleless stapler and the very clever fold the paper without a stapler method. Happy shopping and please feel free to leave a comment on any ideas / products you have used / found / endorse. #Planet safe #plastic …. REALLY? Americans use 60,000 plastic bags every five minutes-single-use disposable bags that we mindlessly throw away. But where is “away?” Where do the bags and other plastics end up, and at what cost to our environment, marine life and human health? Bag It follows “everyman” Jeb Berrier as he navigates our plastic world. Jeb is not a radical environmentalist, but an average American who decides to take a closer look at our cultural love affair with plastics. Jeb’s journey in this documentary film starts with simple questions: Are plastic bags really necessary? What are plastic bags made from? What happens to plastic bags after they are discarded? Jeb looks beyond plastic bags and discovers that virtually everything in modern society-from baby bottles, to sports equipment, to dental sealants, to personal care products-is made with plastic or contains potentially harmful chemical additives used in the plastic-making process. When Jeb’s journey takes a personal twist, we see how our crazy-for-plastic world has finally caught up with us and what we can do about it. Today. Right now. Suzan Beraza, Director: Born in Jamaica and raised in Puerto Rico and the Dominican Republic, Suzan Beraza’s thought-provoking films challenge viewers to examine their lives and consider the impact of their choices. Her films have appeared on national public television in the United States, and at many festivals, winning top awards at Worldfest, Montreal Film Festival, and Mountainfilm in Telluride, among others. Previous films include Life’s A Beach, American Outrage, Blue Planet Run, Water, A Clear Solution and Troubled Waters: The Dilemma of Dams. Jeb Berrier, Talent: Jeb Berrier is the host for a morning television show on Plum TV. Working for Plum, Berrier won an Emmy® award for his coverage of the 2008 Democratic Convention. Berrier also works as an actor and director in theater, film, and television commercials and was a member of the National Shakespeare Company in New York City in the mid-1990s. He also produces the annual Telluride Comedy Festival. Michelle Hill, Producer: Michelle has only recently discovered the art of film production. She is an artist, small business owner and environmentalist. She believes that one of the most important things anyone can do to make the world a better place is to constantly gain new perspectives on life. Documentary film production has been a perfect way to integrate her many skills and talents. Bag It is her first film. Judith Kohin, Executive Producer: Judith was the executive director of the Ah Haa School for the Arts-one of southwest Colorado’s most successful arts organizations-from 1991-2006. Under her leadership, the Ah Haa School served thousands of students, hosted hundreds of arts exhibitions and raised more than a million dollars for arts programming, facilities, and financial aid. Bag It is currently airing nationally on public television stations. For local airdates, contact your local PBS affiliate or search for a broadcast near you at Find a Screening. If you are not able to find a broadcast happening on your local station, please call and request the program! Bag It is made to all public television stations via the National Educational Telecommunications Association (NETA). Beginning in January 2011, Bag It launched a nationwide community screenings effort intended to rally communities across the United States to raise awareness about our global love affair with single-use plastics-and what we can do about it. More than 500 community screenings of Bag It have been held since January 2011. To find a screening near you, search upcoming events at Find a Screening. Through the Bag It Town campaign, the Bag It team helps communities across the country systematically reduce their consumption of plastic bags by organizing legislative or volunteer bans or disposable bag charges in their communities. Bag It Towns not only reduce their local reliance on single-use plastics, but also contribute toward cleaner streets, waterways and coastlines, better public health, positive public relations for their cities, and a greater sense of community! To learn more about helping your city becoming a Bag It Town, visit Become A Bag It Town or contact bagittown@gmail.com. The ocean may conjure up images of coral islands, gray whales and deep blue seas, but plastic junk? The Great Pacific Garbage Patch – a collection of debris in the North Pacific ocean – is one of five major garbage patches drifting in the oceans. Captain Charles J. Moore recently returned from a six-week research trip to the patch and was “utterly shocked” by how the quantity of plastic debris – everything from hard hats to fishing nets to tires to tooth brushes — had grown since his last trip there in 2009. The Great Pacific Garbage Patch actually has two parts — the Western Garbage Patch, near Japan and the Eastern Garbage Patch, located between Hawaii and California. “It is the concentration of debris that is growing,” says Moore, who has been studying the patch for 15 years. Moore used aerial drones on his latest expedition to assess the amount of garbage in the eastern patch – which he said is about twice the size of Texas – and found that there is 100 times more plastic by weight than previously measured. While you might think of a garbage patch as some large congealed mass whose borders are easily definable, it doesn’t quite work like that. Most of the garbage patch is made up of tiny fragments of plastic – notorious for being exceptionally slow to break down – and virtually invisible to the eye. Much of the debris, about 80%, comes from land-based activities in Asia and North America, according to National Geographic, the remainder comes from debris that has been dumped or lost at sea. It takes about six years for the trash from the coast of North America to reach the Great Pacific Garbage Patch, and about one year from Japan. “The larger objects come mostly from Asia because they arrive there sooner before they can become embrittled and break into bits, which is what happens to North American debris,” Moore says. These plastics can make the water look like a giant murky soup, intermixed with larger items such as fishing nets and buoys. On his latest trip, Moore said he came upon a floating island of such debris used in oyster aquaculture that had solid areas you could walk on. Scientists have collected up to 750,000 bits of microplastic in a square kilometer (or 1.9 million bits per square mile) of the Great Pacific Garbage Patch. Most of the debris comes from plastic bags, caps, water bottles and Styrofoam cups. Federal environment minister Greg Hunt and his eight state and territory counterparts meet in Melbourne on Dec. 15 to discuss a range of environmental…. An alliance of 48 environmental groups has written to all environment ministers around Australia asking them to ban plastic bags when they meet next month. Federal environment minister Greg Hunt and his eight state and territory counterparts meet in Melbourne on Dec. 15 to discuss a range of environmental issues, including research work conducted by the office of Mark Speakman, environment minister for the state of New South Wales (NSW), into initiatives to reduce the amount of plastic waste, including potential bans on plastic shopping bags. 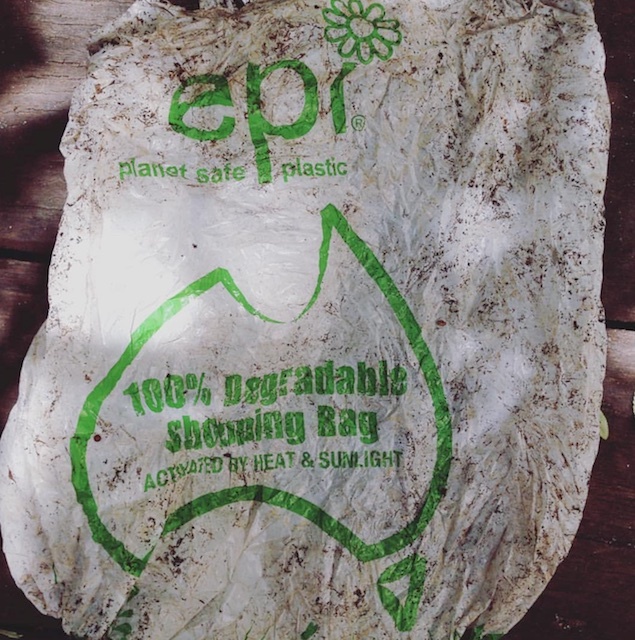 The Boomerang Alliance, led by Jeff Angel, director of the Sydney-based Total Environment Centre, has asked the ministers to ban all bags up to 70 microns and introduce policies aimed at maximum adoption of reusable bags for shopping. Angel estimates Australian plastic bag use will exceed 9 billion this year, including more than 4 billion single-use supermarket carry bags. Boomerang Alliance has asked the ministers to implement a range of actions, including banning single-use high density polyethylene carry bags and not automatically excluding low density PE carry bags from any ban. Angel said LDPE bags should be included in bans but case-by-case exemptions allowed if retailers can demonstrate effective management and/or minimal risk of the bags reaching the marine environment. The alliance also wants bags to be clear or dark colored only and unbranded. “Coloring plastic film integrates more toxic additives and makes the bags more likely to be ingested,” its letter said. It cited a 2014 study by the University of Tasmania of necropsies of 171 shearwater sea birds that found of 1,032 pieces of plastic in their gullets, just 0.87 percent was clear plastic, compared to 62 percent light-colored plastic, 22 percent medium colors and 14 percent dark colors. … biodegradable plastics rarely actually degrade because they require long-term exposure to high-temperatures (around 122F, or 50C), like those found in large municipal composters, to actually break-down. Those conditions are not found very often in nature, and especially not in the oceans. A new report by the United Nations looks at these so-called biodegradable plastics and their impact on oceans, and compared to the theory, reality is a lot less rosy. The biodegradable plastics rarely actually degrade because they require long-term exposure to high-temperatures (around 122F, or 50C), like those found in large municipal composters, to actually break-down. Those conditions are not found very often in nature, and especially not in the oceans. To add insult to injury, once those biodegradable plastics are in the oceans, the water reduces UV and oxygen exposure, so they degrade even slower than they would otherwise… Basically, biodegradable label or not, those plastics will be there for a very long time. And even when they do break down, after years, the small pieces still pose a threat and just add to the existing microplastics problem that we’ve written about in the past. So unless we can somehow make biodegradable plastics that actually degrade under regular conditions fairly rapidly without causing problems, and that can also be easily recycled, or at least kept out of recycling plants, maybe these aren’t the best idea. It might make people feel good when they see the label, but if they don’t work as intended, then it’s just greenwashing. What a wonderful journey to reducing plastics and less waste. A recent gazetted hard rubbish Council pickup weekend was such great fun. And a fantastic source of ‘trash’. Terracotta pots, a worm farm, trestle horses, planter box and yucca’s – to mention a few. Thanks Palm Beach, for your generosity, and great rubbish. Check out the leather rug, cardboard containers and chairs, a co-collector picked up. Seriously choice trash. (And I never thought I would hear myself say that.) 3 car boot loads in total. Finally, this change feels tangible. The bees wax wraps are excellent, although for some reason I still have small reservation as to the longevity of the wrap and look forward to being pleasantly surprised. Another wonderful experience was searching (google) for alternate local products. Not only did I find and order from a local company but I was also invited to meet at the same place – Boomerang Bags , (check out the community engagement work they do as well. Truly remarkable), and to then be invited to attend a function out at Tallebudgera Valley – thank you, and thank you Anthony Hills from Plastic Pollution Solutions for the introduction. I’m a farmer as well. A worm farmer. Well, thats what it said on the starter box. Hopefully I won’t smell rank now with WanderLightly ‘s deo!